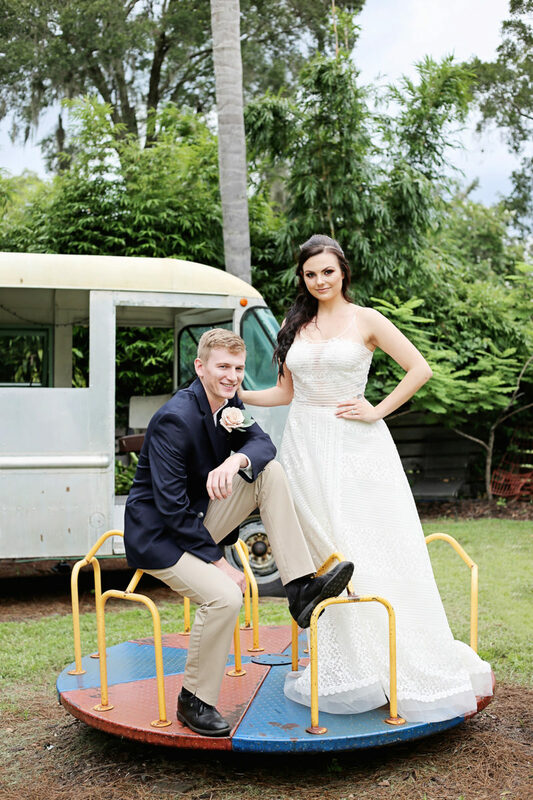 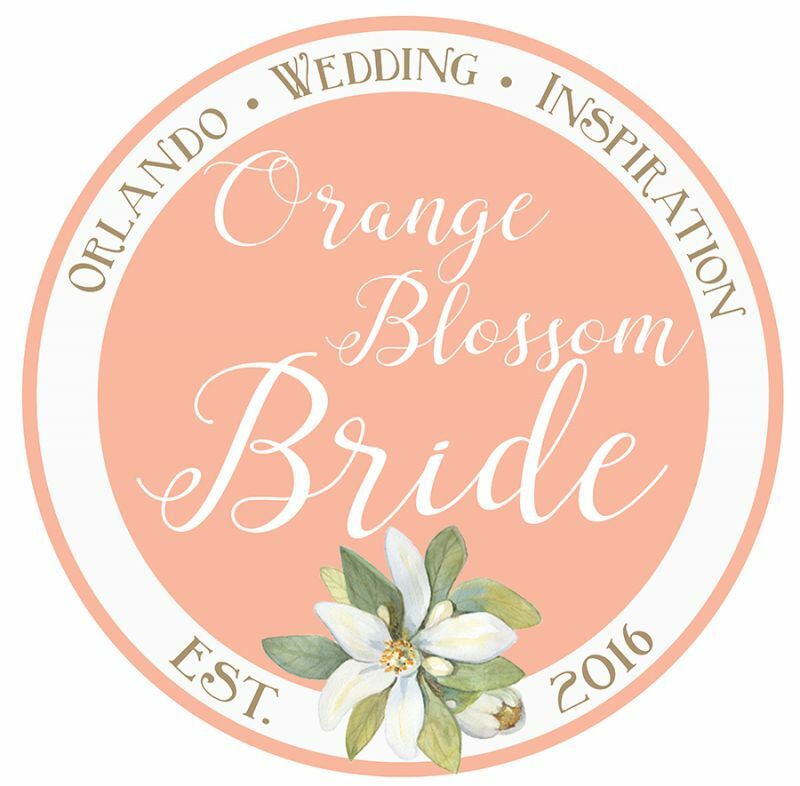 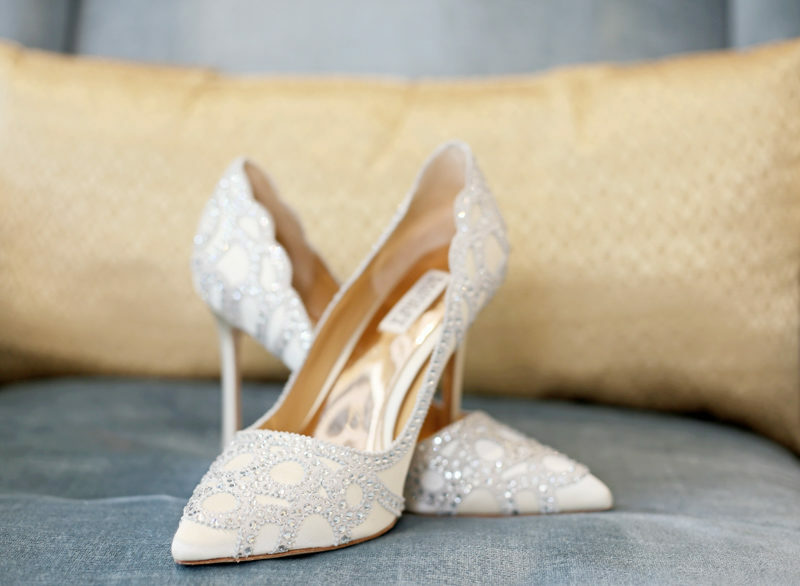 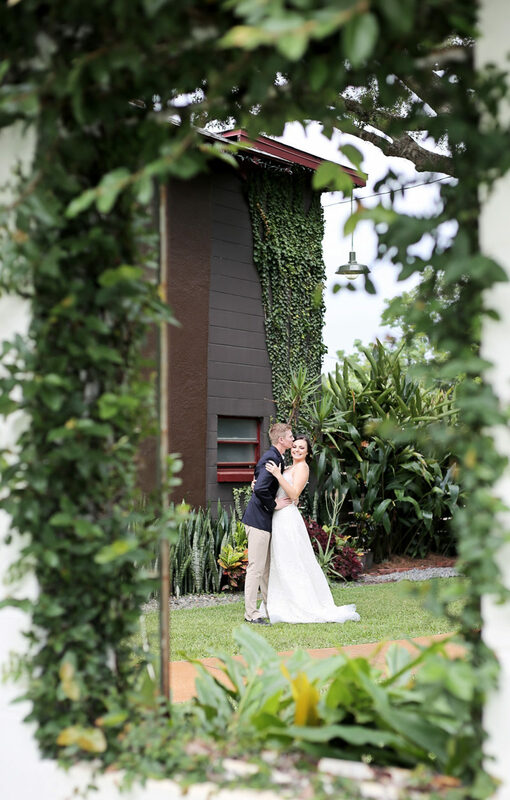 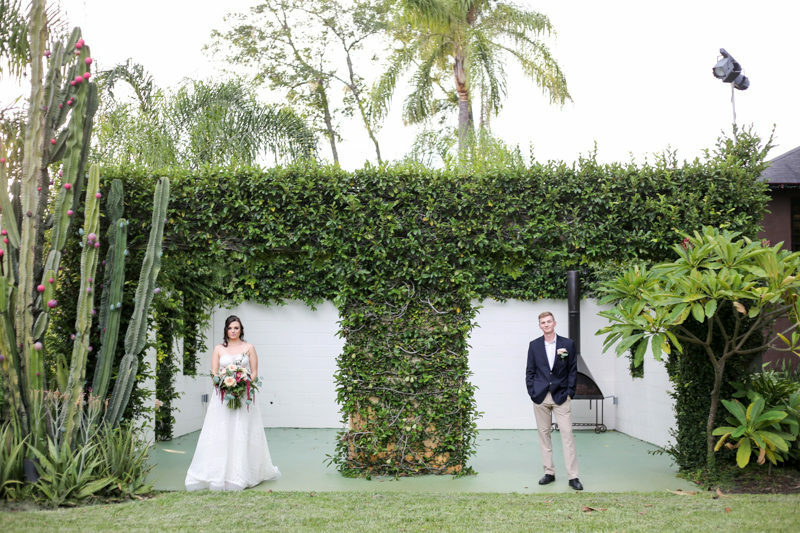 The Acre Orlando is a bit of a different venue with tons of fun spots for photos, and this inspiration shoot shows off lots of those spaces! 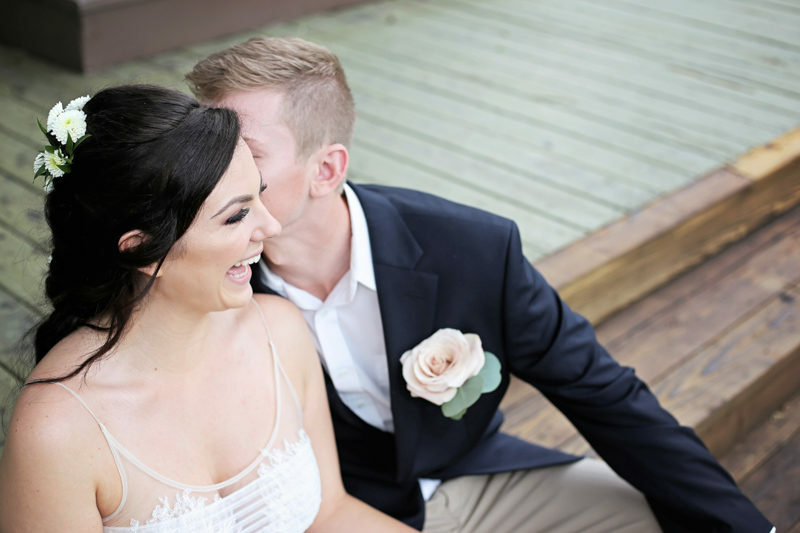 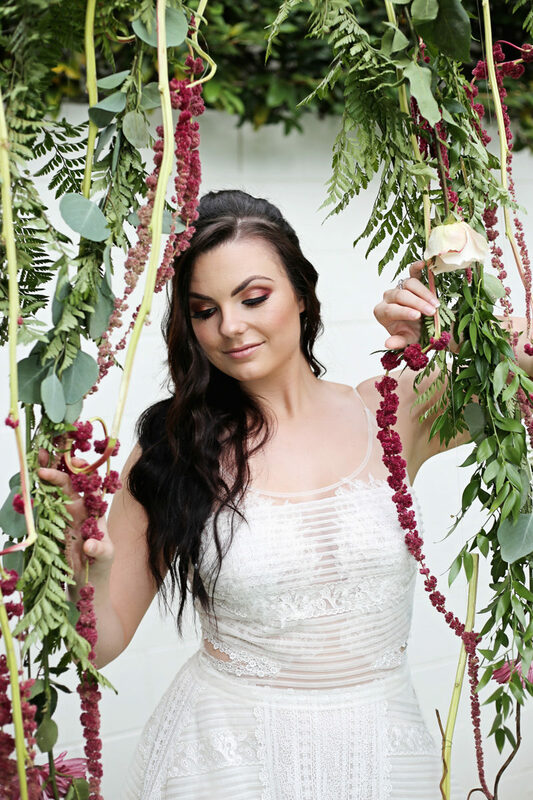 Stripes and lace aren't a super common combination when it comes to wedding gowns, but they worked so well together in this dress from Something New Bridal Boutique. 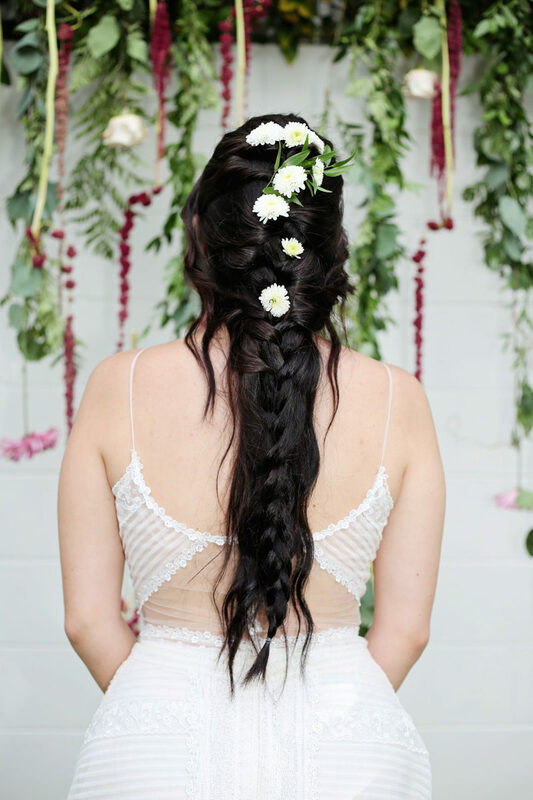 The model bride's hair was braided over loose waves with a few flowers tucked in at the top. 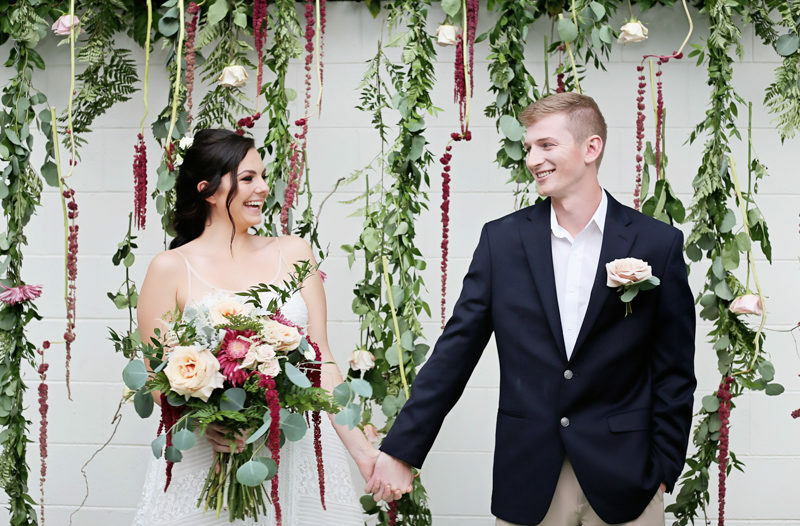 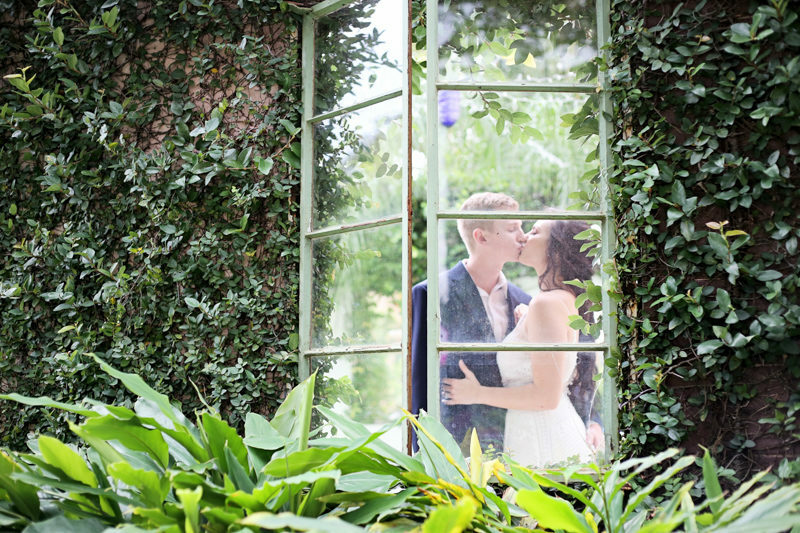 Rows of florals hung down in a curtain that provided a beautiful backdrop for portraits and added to the plentiful greenery all around the venue. 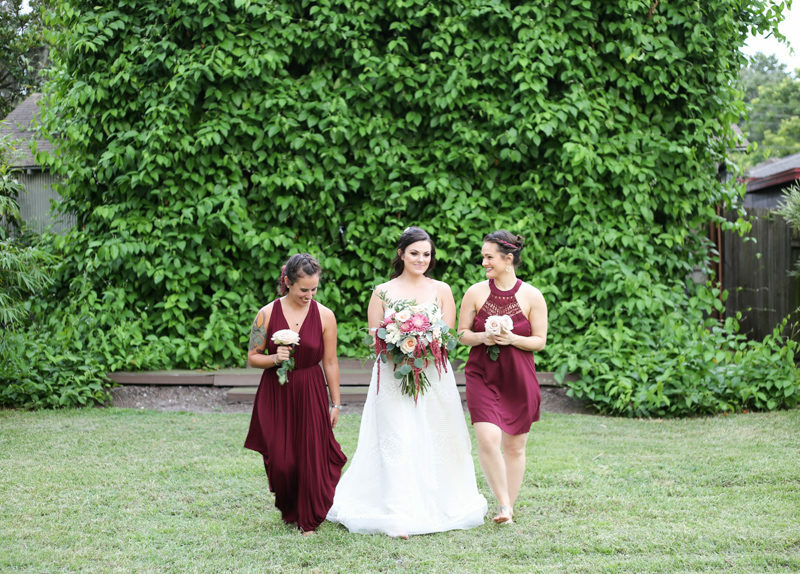 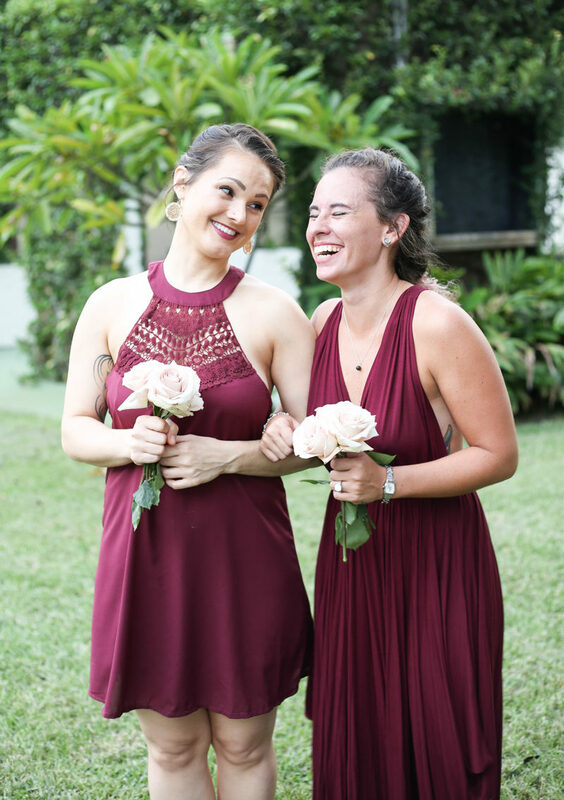 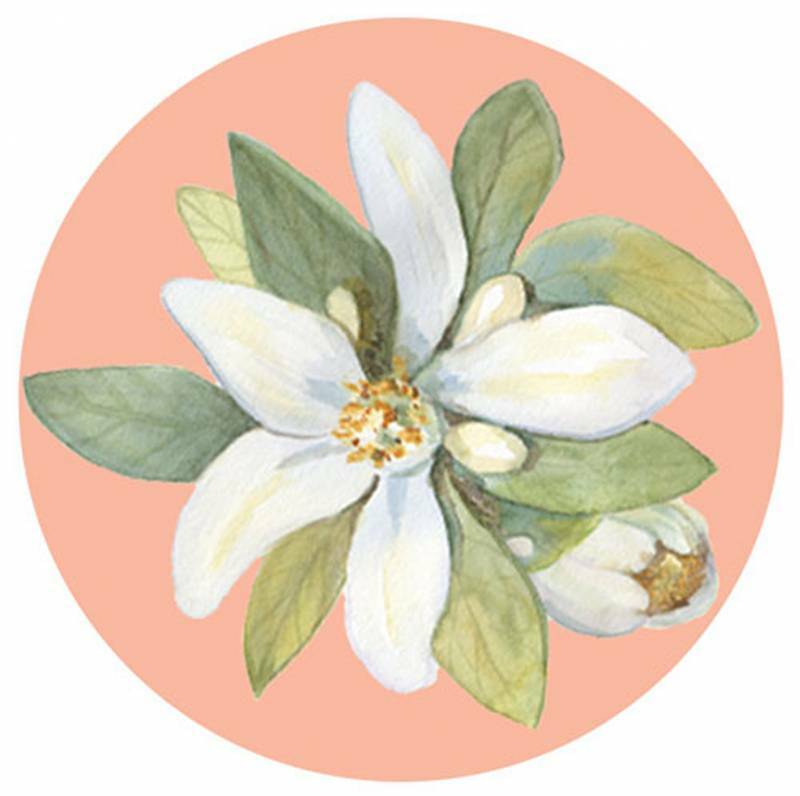 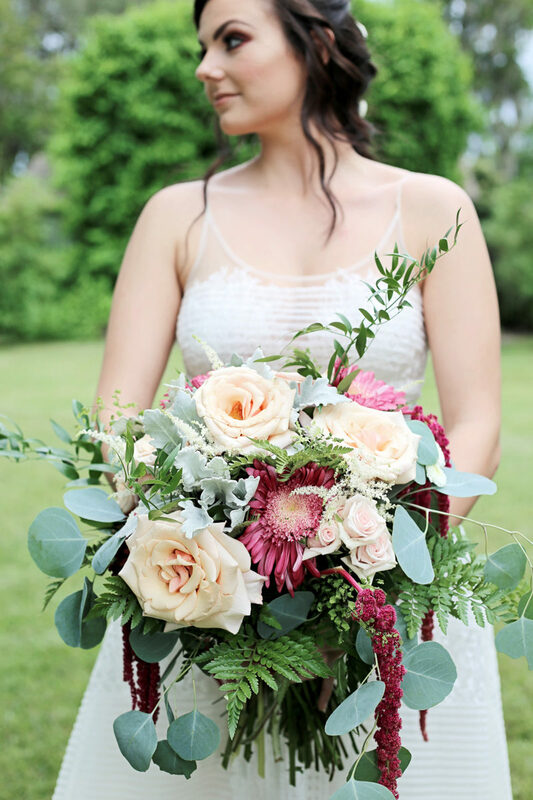 Both of the bridesmaids's dresses matched the wine-colored florals and complemented their bouquets of pale pink roses. 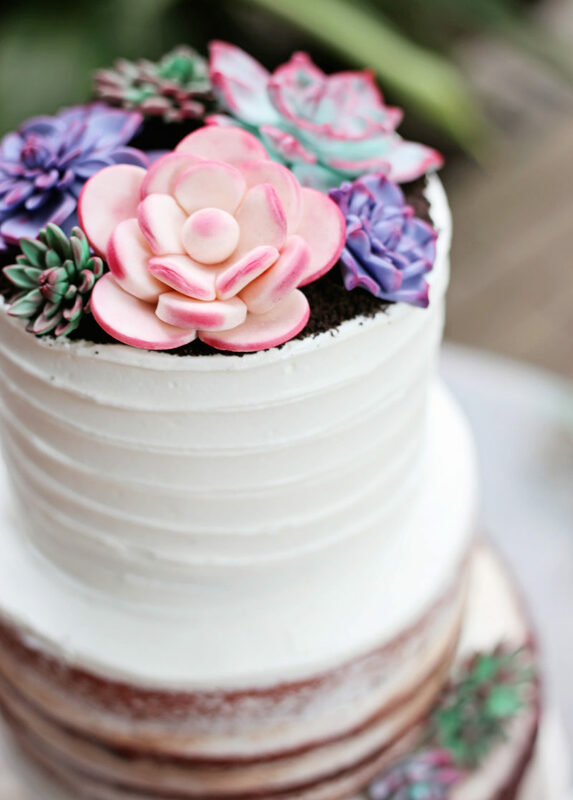 Standing out all on it's own, a white cake accented with succulents fit right in with the feel of the venue. 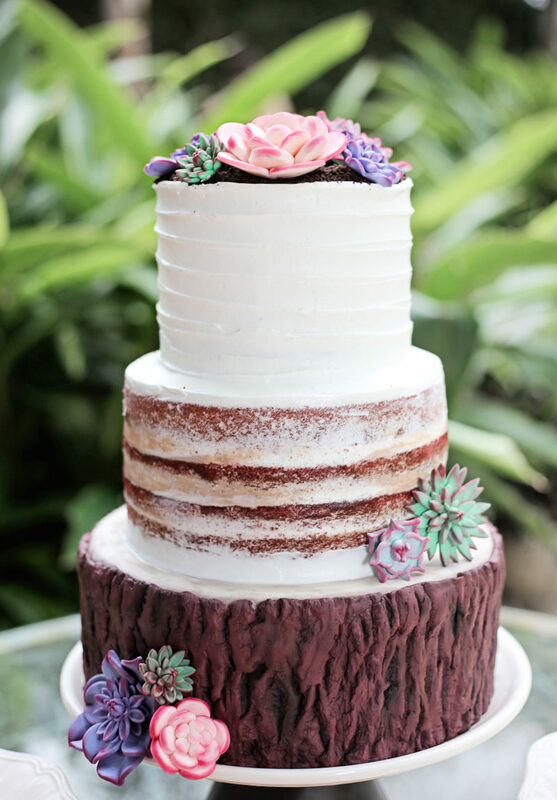 The bottom tier was even decorated with icing that masqueraded as tree bark!